BEIJING, June 19 -- Chinese President Xi Jinping said Monday that the BRICS cooperation will be more productive and usher in a new "golden decade." 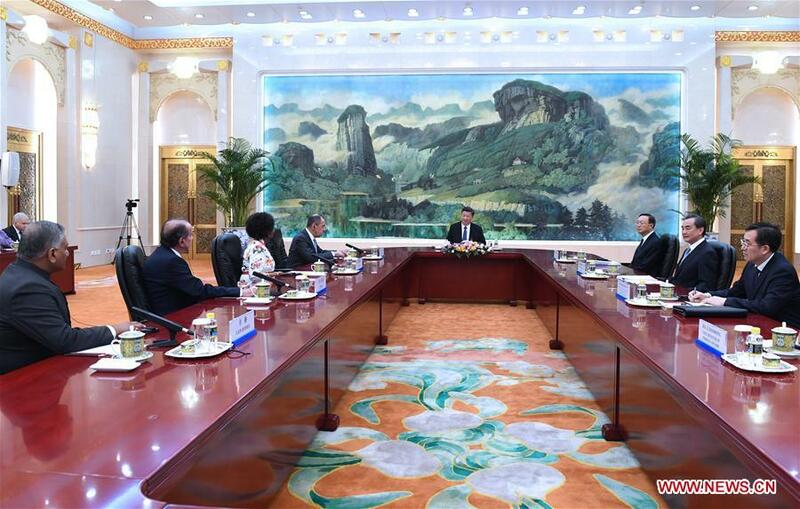 Xi made the remarks when meeting with the heads of delegations from Brazil, Russia, India and South Africa who are in Beijing to attend the BRICS foreign ministers' meeting. The BRICS cooperation mechanism has been in existence for ten years and BRICS members have focused on development, which not only benefits the people in the five countries but also offers a recipe for the world to address food and security problems, Xi said. "BRICS countries are a community of shared interests and future," Xi said, urging the countries to give full play to the win-win spirit and jointly contribute to the development of the organization.